Quality catering and food service equipment. POD Stainless Steel Products' reputation for completing major stainless steel kitchen refurbishments led to it being selected to refurbish a fish and chip shop on the Hipswell Highway in Coventry, to give the equipment a clean modern look incorporating updated controls. The original equipment (picture right), part of the Famous Fish Range manufactured by Preston & Thomas of Cardiff, required a complete overhaul including new fascia panels, rear panels, new pans, thermostats and trims and a complete re-wire. To complete the project with as little down time as possible for the owner, the range was removed back to our factory where all the work was completed. The whole project including re-installation was completed in only four days. POD Stanless Steel Products are able to re-furbish and renovate any manufacturer's fish ranges and a number of new finishes and designs are available to provide any particular style or look that the client wishes to achieve. 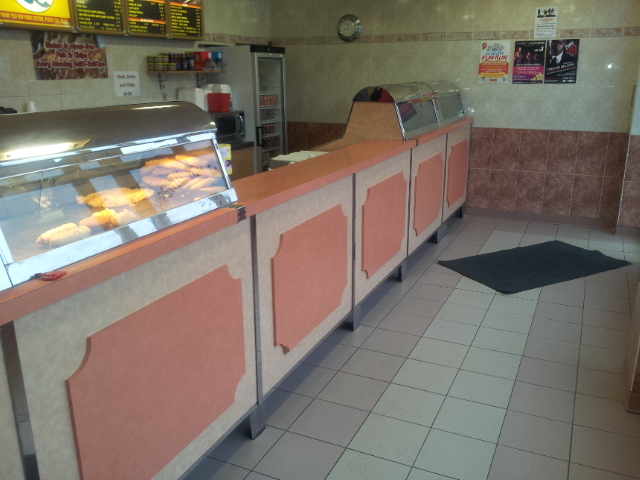 P.O.D Stainless Steel Products were commissioned to design, manufacture and install a new food service counter. Copyright (c) 2011 - 15 P.O.D. Stainless Steel Products Limited. All rights reserved.